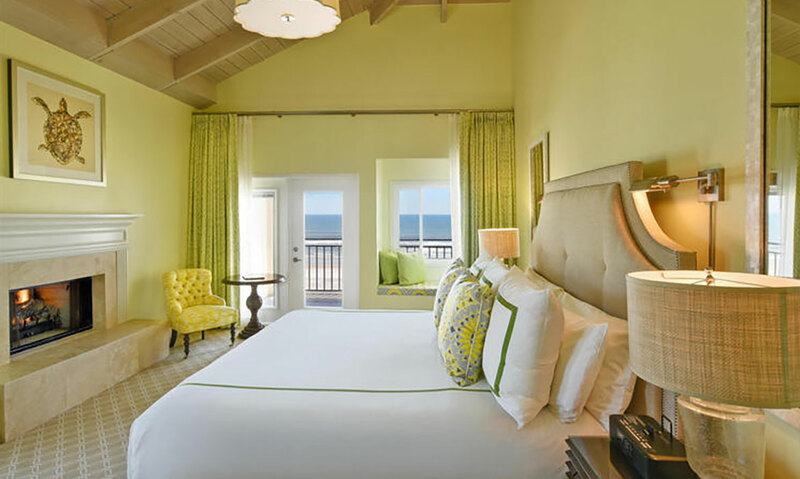 ANICHINI is proud to have been chosen to provide the custom hotel bedding for the Ponte Vedra Beach Resorts. 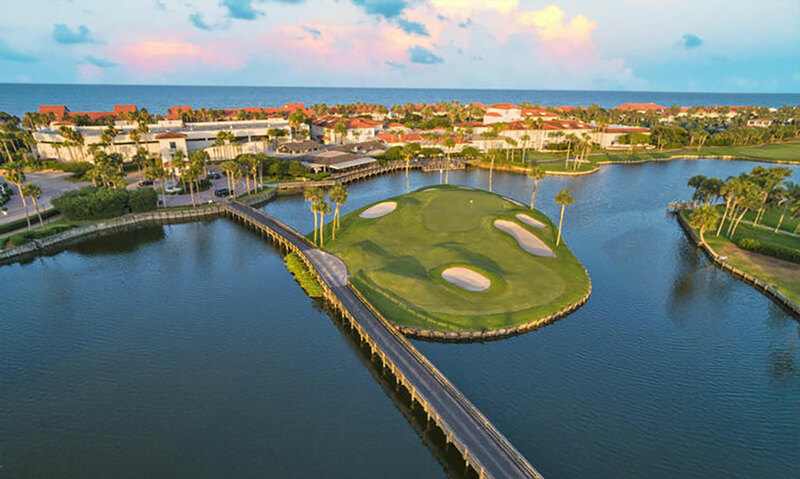 Located in the picturesque seaside village of Ponte Vedra Beach, just 20 miles southeast of Jacksonville, Florida, The Ponte Vedra Inn & Club and The Lodge & Club create an oceanfront luxury experience known as Ponte Vedra Beach Resorts. 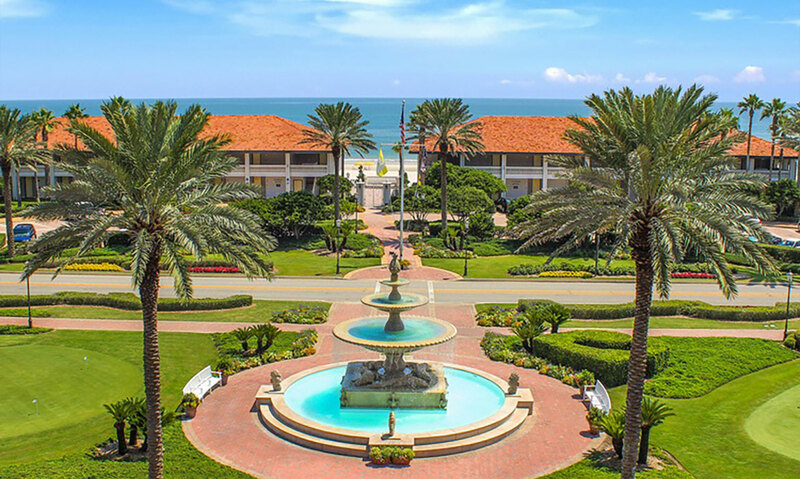 Since first opening in 1928, the Ponte Vedra Inn & Club has been been admired for its quiet opulence, stateliness, and grace. Not to mention its sprawling beachfront. In 1989 The Lodge & Club was added to the group. 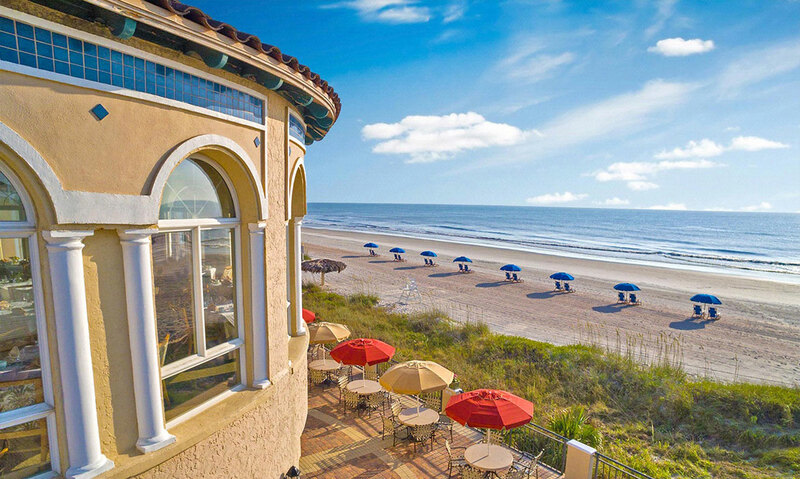 This oceanfront resort, amidst the dunes, is designed with a distinctive Mediterranean-inspired architecture which can be seen throughout its ten seaside acres. 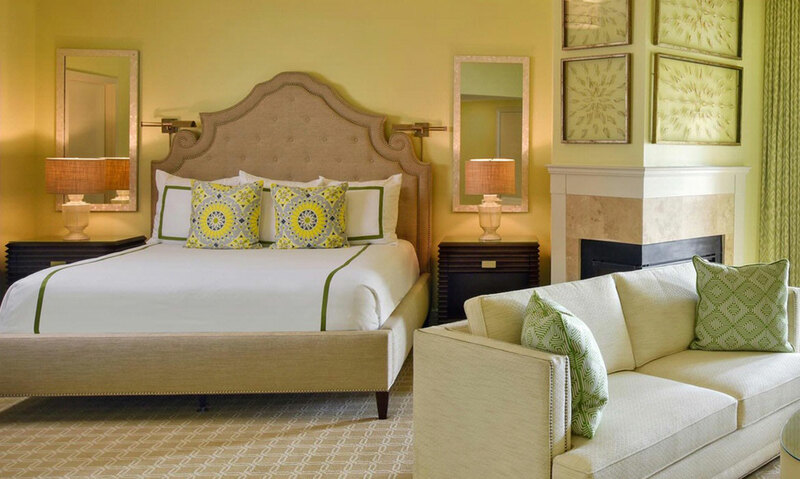 Anichini worked with the Ponte Vedra Beach Resorts to create their custom bedding design. 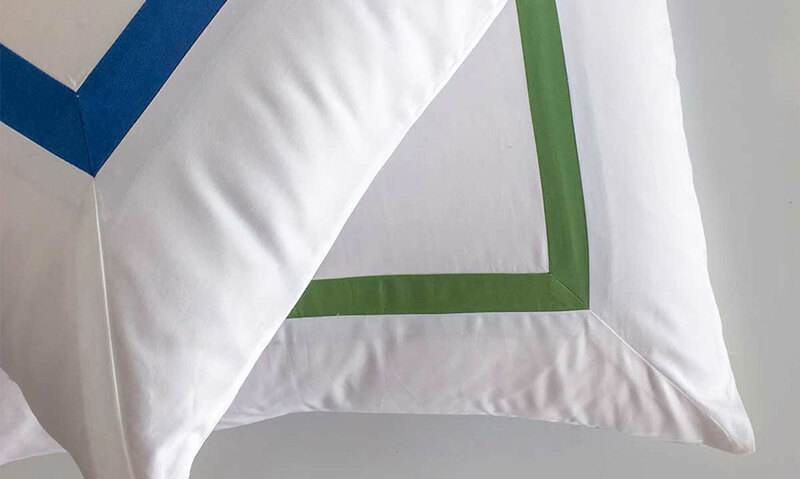 They chose white cotton sateen duvets and shams finished with custom applied banding in green and blue. Modern and traditional at once, this style pairs perfectly with the resort's beachfront atmosphere and Mediterranean design. 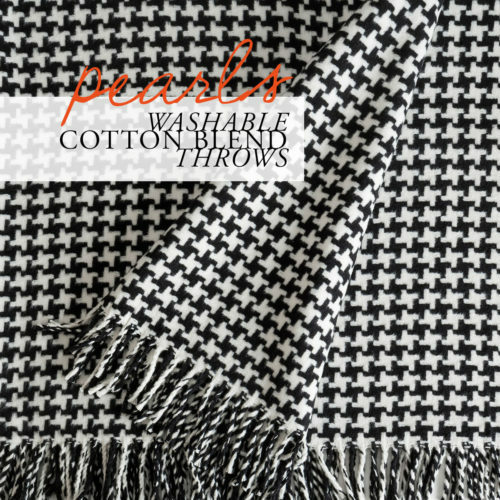 ANICHINI Hospitality has an extensive collection of bedding, bath linens, fabrics, and decor. 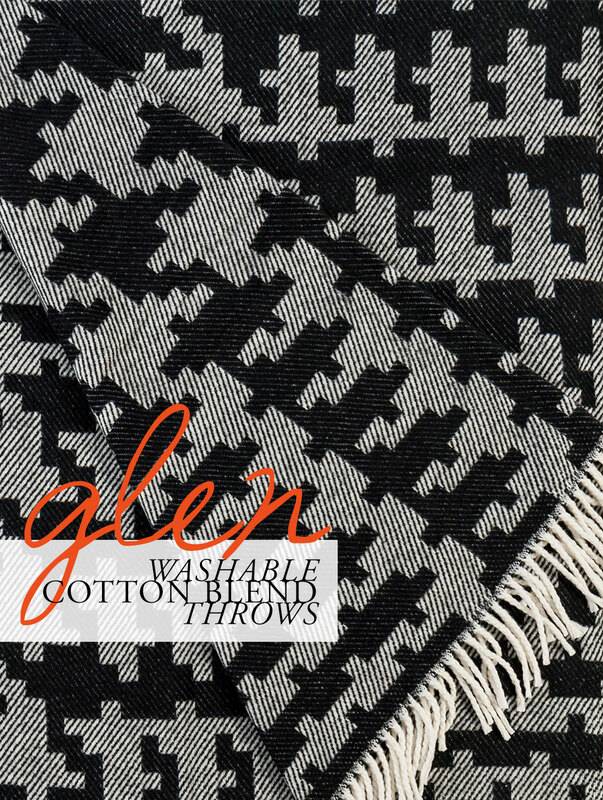 Our custom hotel bedding can be tailored with custom constructions, fabrics, weaves, and embroideries. PLEASE CONTACT US FOR MORE INFORMATION ON OUR CUSTOM CAPABILITIES. 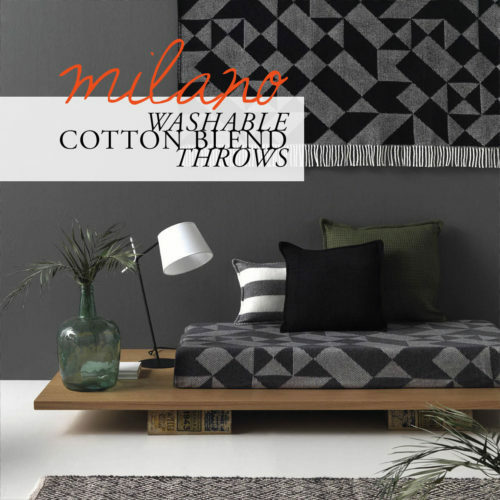 This entry was posted in Latest News, Projects on August 23, 2018 by ANICHINI. 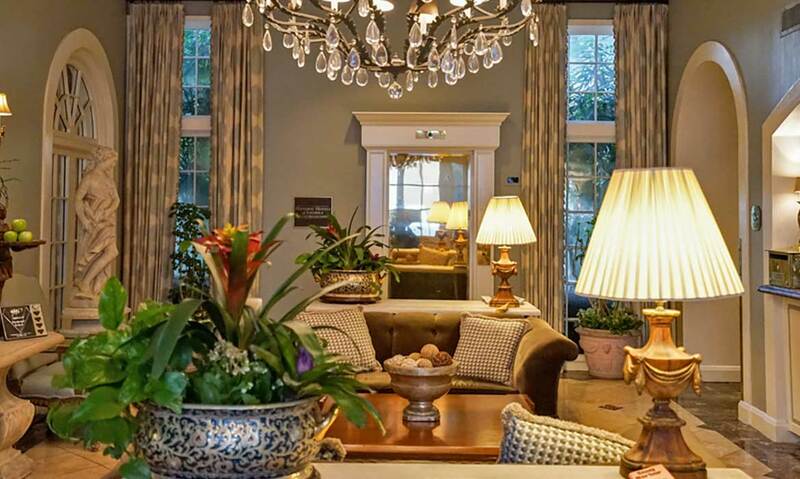 ANICHINI is proud to have been chosen to provide the custom hotel bedding for the historic Bienville House Hotel. The Bienville House lies in the heart of the French Quarter, between Decatur and N Peters Streets. This now upscale hotel comes from humble beginnings. Originating as a rice mill, it went on to have multiple restorations: as a manufacturing plant, luxury apartments, and in the mid 1900's as a motor hotel. 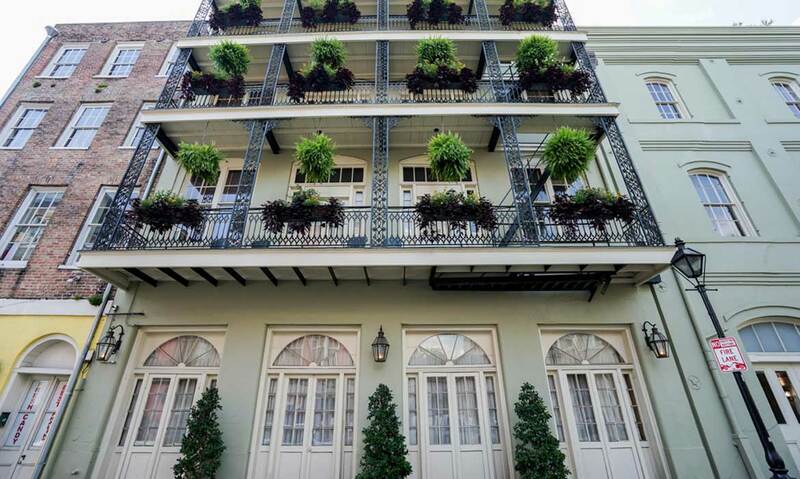 It wasn't until the 1970's, when the Monteleone family purchase the property, that the Bienville House Hotel became recognized as a historic luxury French Quarter hotel. 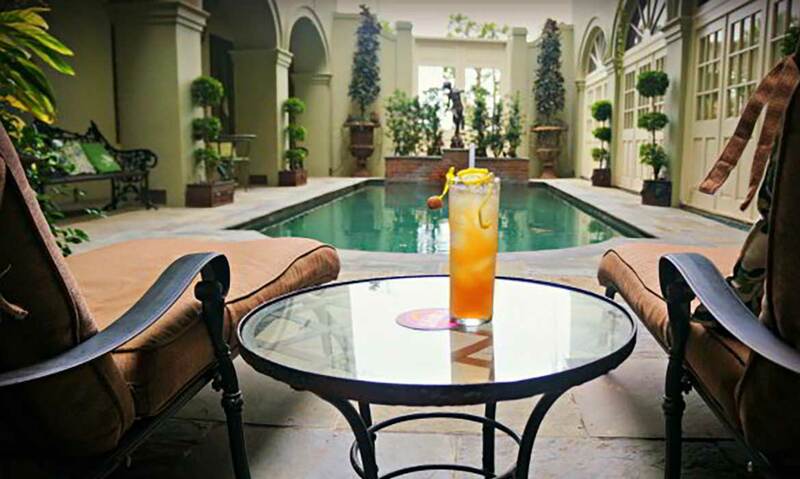 The Bienville House's design stays true to its original European styling. The hotel features wrought iron guest room balconies, bright sundecks, and a flag stone courtyard surrounding a crystal-blue lagoon pool. 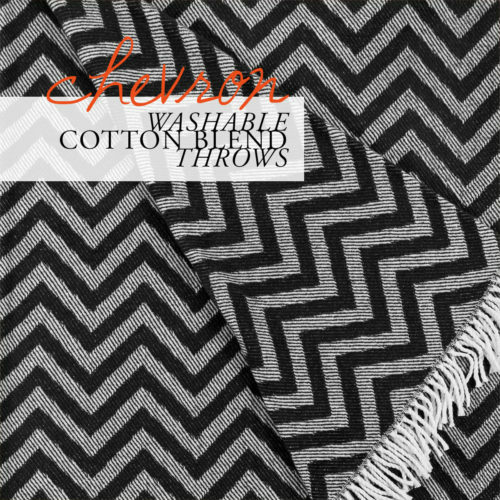 Anichini worked with the Bienville House to create their custom bedding design. 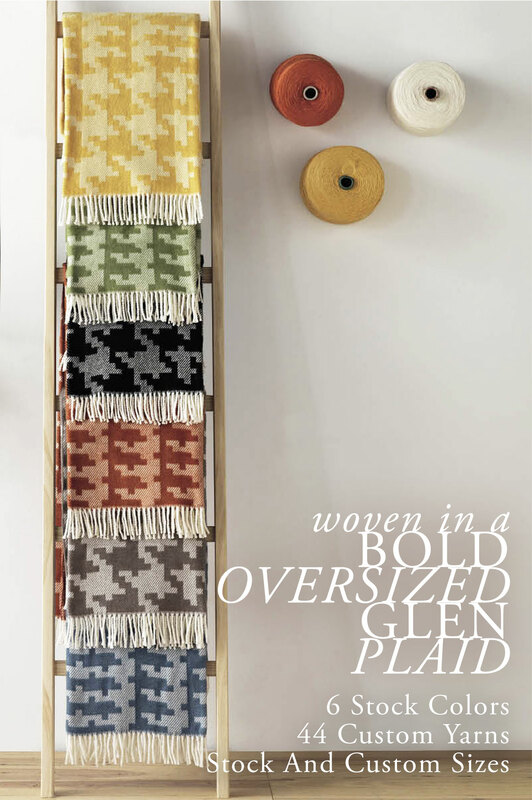 They chose Old World blanket covers and pillow shams to match their European style. 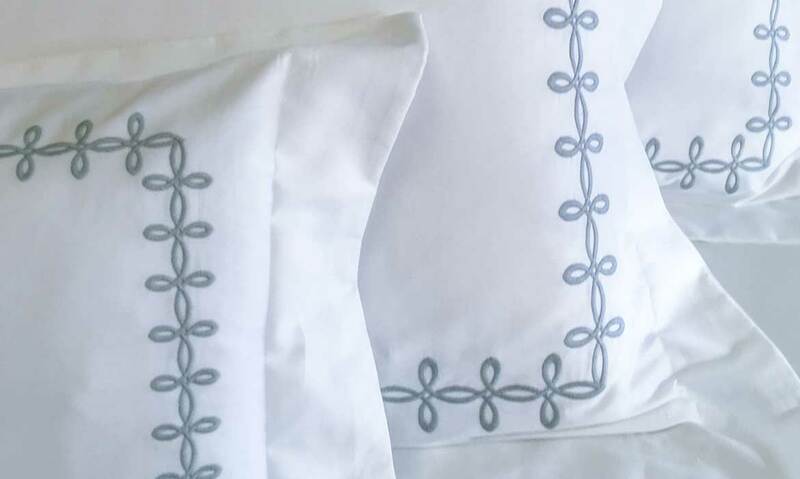 We finished the bedding with a custom pale blue chain stitch embroidery on white sateen sheeting. 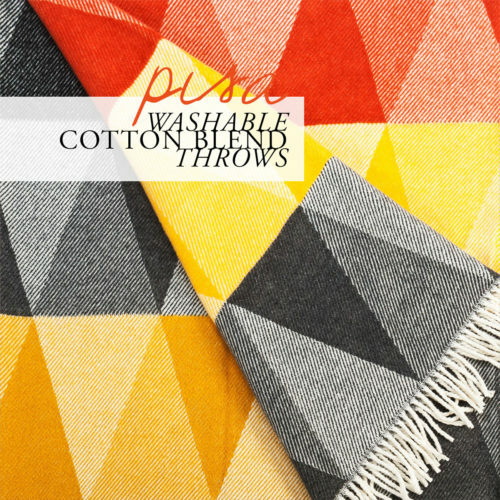 This entry was posted in Latest News, Projects on June 12, 2018 by ANICHINI. This entry was posted in Products on July 13, 2017 by ANICHINI.